Dim: diam 21 1/2" x H 12"
The Very soft and colourful Animal cushion creates an attractive environment for little ones. They will help them to develop their body awareness, their ability to discriminate between colours and shapes, their sense of touch and their motor skill. 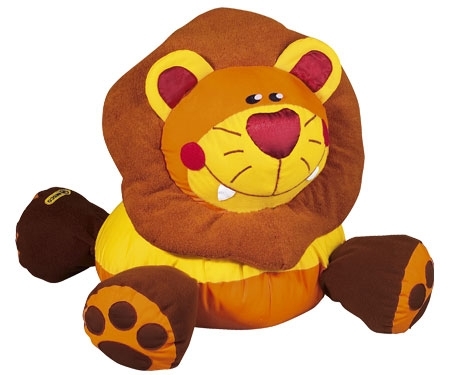 Made from 65% polyester/35% cotton, fabric, stuffed with polyester fibres. Fabrics guaranteed free of azo dyes. Washable at 86 °F. All the covers are zippered and can therefore be removed. Meet CAL TB 117 Fire retardancy standard.